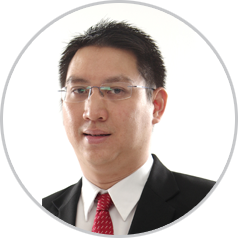 Started as a sole proprietorship, it is now a partnership with its main office located in the upcoming vibrant township of Aked Esplanad, Bukit Jalil with plans to expand to the northern region. In keeping with its founding vision, CJA's range of practice areas covers a diversification of areas which range from matrimonial disputes to corporate litigation and its clientele includes individuals, foreign companies, multinational corporations; and public listed companies. It involves assistance with disputes and claims which may arise in the course of any commercial transaction or deal. Such matters could arise between different companies, or between companies and individuals. Issues which fall under litigation can range from contractual matters, banking transactions and fraud, to mergers and acquisitions, regulatory mechanisms or competition, corporate management and restructuring problems. CJA offer legal drafting for commercial agreements from the simple shareholders agreements to more complicated options agreement, we sit down and discard what your needs & requirements are for every transaction. 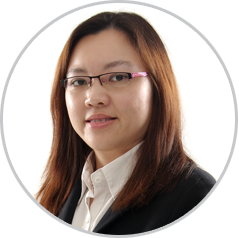 After graduating from the University of London External Programme with honours in 2000, Jane was called to the Malaysian Bar in 2003. She had chambered in one of the leading banking and finance firms known as Paul Chong and Nathan and thereafter entered practised doing civil litigation in Penang. No. 7-19-M (Mezzanine Floor), Jalan 14/155B, Aked Esplaned, Bukit Jalil, 57000 Kuala Lumpur, Malaysia. Copyright © 2016 Chih-Jen & Associates. All rights reserved.